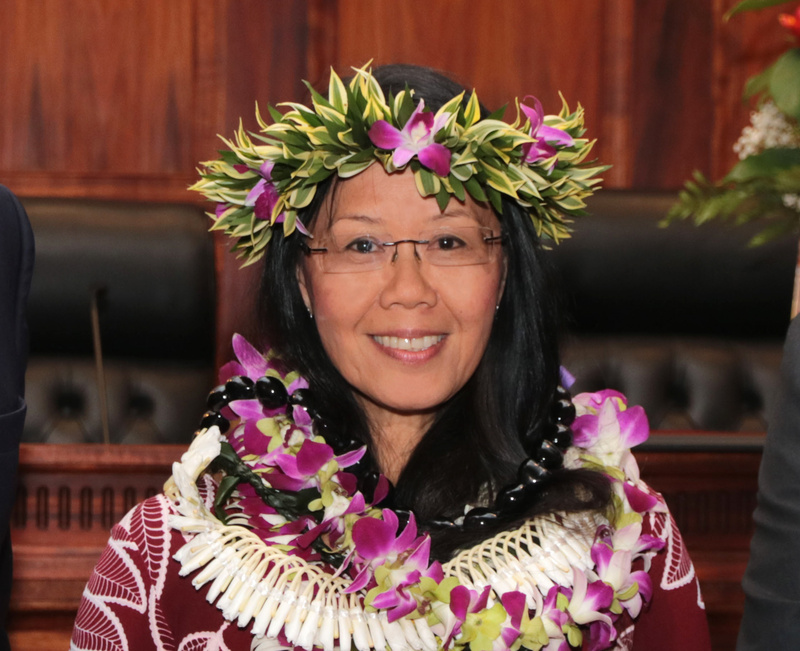 LIHUE, HI – Tina Higashi, supervisor of the Fifth Circuit Court’s Juvenile Client & Family Services Branch (JCFSB), has received the Judiciary’s 2018 Meritorious Service Award. She was recognized for her contributions to the people of Hawaii at the Fifth Circuit Court’s Employee Awards Ceremony on December 7. Higashi was one of three statewide recipients of this award, which is bestowed annually to employees who have made important contributions to public service through notable careers, superior service in administration, or in the execution of duty. The Judiciary’s Meritorious Service Award also recognizes initiative in devising new and improved work methods and procedures, superior achievement in improving the safety or health of workers or employee morale, or any other meritorious or superior service which approaches the high standard required of distinguished service. The Judiciary also recognized Alton Amimoto for 35 years of service and Remy Balaan and Marilyn Hasegawa for 30 years of service.